Local SameDay Courier based in Leeds for all urgent deliveries from Harrogate, York and Wakefield nationwide. Local SameDay Express Courier in Harrogate. 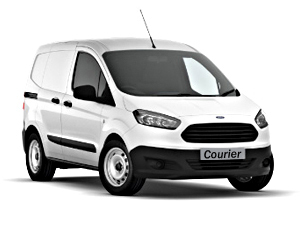 We are a well established independent, recommended local Same Day Courier serving Harrogate, based in Leeds, Yorkshire, we provide a range of professional, reliable van courier services to domestic and commercial clients in Harrogate, York and Wakefield. Our central Yorkshire location provides us with easy access to all local motorway networks enabling us to offer a fast, efficient, sameday, nationwide van courier service from across Yorkshire and the north of England including Harrogate, York, Wakefield and surrounding areas. Prompt, reliable, courteous and efficient. Highly recommended. After receiving an urgent phone call from a local independent Law Firm we arranged the collection of their exhibition equipment from Leeds and delivered it directly to the exhibition centre in London for 8am the next day. We then collected the same equipment after the exhibition finished 6pm and brought it back to Leeds. Resulting in a very happy customer. Yorkshire based local SameDay Van Delivery providing Nationwide service. We pay particular attention to the fine details and take pride in our work, resulting in on time deliveries and satisfied customers. All of our work is fully guaranteed and insured.